Figure 3. Wheat stem sawfly cut stems were so extensive, the cut stems could be picked up as a bundle on the edge of this wheat field west of Crookston, MN. 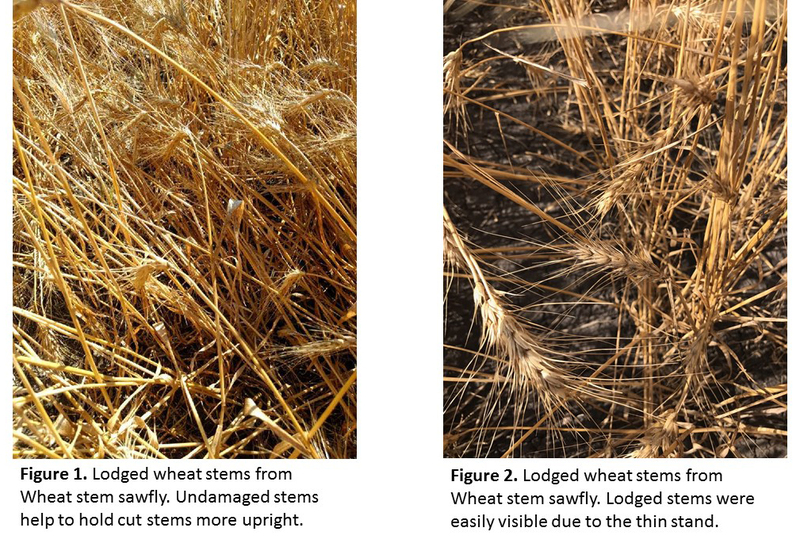 As wheat harvest moves northward, we are detecting infestations of Wheat Stem Sawfly in fields in Polk County. Recent storms and strong winds have helped bring these problems to front and center. Infestations have been found in the areas around Crookston and westward toward East Grand Forks. We urge farmers to pay attention to lodged areas of fields to determine if sawfly are a contributing cause of the problem. 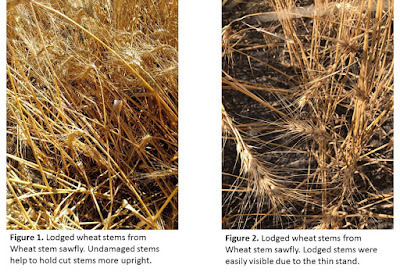 While driving the combine, lodged stems should be visible from the cab (Figures 1 and 2). Infested stems are plugged on the end by the larva for protection from the environment while overwintering (Figure 5). Cut stems, if sliced open, reveal the feeding damage and frass left behind by the sawfly larva (Figure 6). These field and infestation locations need to be noted so rotation and tillage can be performed to try and break the infestation cycle.